Below is a video interview I did with Gabe Howard and The Psych Central Podcast about my book Manic Kingdom, mental illness and embracing ambiguity. I will admit that I was caught off guard during the interview, because I didn’t realize it was expected that each guest has a mental illness diagnosis. ( I should have done my homework.) 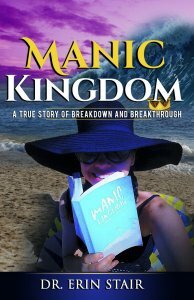 I wrote Manic Kingdom to describe what it feels like to go through a mental breakdown as well as to show my unusual road to recovery, but as for a diagnosis, I don’t have one. I don’t go to therapy, don’t go to psychologists, psychiatrists, etc., nor am I on any medication. I DID go down that route, as shown in Manic Kingdom, but it didn’t work for me, and actually made me worse. At one point, I had several diagnoses that didn’t make sense, which inspired me to dive deeper into the DSM, psychiatric diagnostic techniques, psychiatric medication and, yes, question psychiatry as a legitimate science. I’ve read a lot in this area. At one point, I served as chief editor for an organization dedicated to alternative mental health therapies, and this position allowed me to talk to many different people- from alternative practitioners, to traditional doctors who serve as spokespeople for Big Pharma, to patients who refer to themselves as “psychiatric survivors.” The experience was an epiphany for me. Up until that point, I tended to accept systems as they were, without questioning, partly because I didn’t have time to question them. If it wasn’t for my own breakdown, I probably never would have researched the history of psychiatry nor the relationship between drug companies, consumers and doctors. I must emphasize that this is my opinion and my experience- there are a ton of other opinions and experiences out there, and I encourage everyone to explore them. The last thing I want to do is force my opinion on someone else. Antidepressants may be involved in 100% of a certain kind of public shooting, where the victims are anonymous. They cause some people to become suicidal, but it is the fear of death that keeps very bad people from hurting others. We have blogs about depression. Some is psycho-hygenic: one needs to change, fix, and sometimes the down side is up, eh?. Dreams produce healing contents, so we write them down. Weed in small amounts churns the soul, or loosens the barrier of cs/unc. If psychiatry was genuinely concerned about “logy” and the “iatria” of the psyche, they would “prescribe” weed, eh? sooner than f’n lithium. Labotmy! We’re a happy family! (Joey Ramone lived in your neighborhood, and my old friend’s on Staten Is. Either of them have done more by art for the health of the soul than psychiatry! 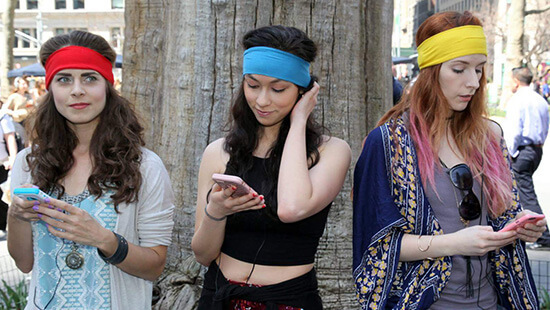 What is an “iatros”? Ever met a shrink who knew? Ever met one that cared that they did not know?